[Ringing Phone] woman's voice: "Hello?" Second woman's voice: "Hey Sheila. We wanted to talk about the exchange that we are planning for next week." This is the sound of a "time exchange", not exactly the din of a furious Wall Street trading floor. There's no opening bell, no yelling, and nobody's ruined at the end of the day. Stacey Jacobsohn from the Time Initiative of Maine is essentially brokering a deal with a time bank member who has a background in healthcare. Together, they're trying to help a physically disabled person who wants to watch movies in her room at an assisted living center. Stacey: "And you said you had something you could give her?" Sheila: "I do. I have one of those small, 10-inch DVD players." Sheila's donation of a portable media player will give the recipient- a woman with cerebral palsy, a bit more freedom. And it will earn Sheila an hour of time credit, which she can then spend on something she might want, say an hour of singing lessons, or some home repairs. Or she can just save it. Bank members offer a variety of services and items including health care, child care, groceries, home-cooked meals, tutoring, prayer service, rides, and anything else you can think of. Anyone with anything legal to offer can contribute hours to the bank, she said, which can take away the feeling of uselessness that plagues many, especially the unemployed or disabled. According to Jacobsohn, the number of time banks in the U.S. has roughly doubled over the last five years to about 400. The idea of time being money, literally, has been around for decades, she said. But it's really gained traction in the aftermath of the financial crisis, particularly in countries facing austerity measures, like Spain and Greece. In a traditional market economy, said Jacobsohn, when there's little cash flowing through a community, progress grinds to a halt. "So the less and less money is being circulated in the economy, the more the needs of the community stand in stark reality against that, you know, that there's just work that needs to be done," Jacobsohn said. "And why are we waiting for money to do that? We have the people, we have the needs, let's put them together. So if the money that we have now is not working for that, then maybe we need a different kind of money." And she's not alone in thinking outside the cash box. Even some candidates seeking election this year are throwing their support behind alternative currency. Blaine Richardson, an independent candidate for the 2nd Congressional District, is one of a handful of political candidates worldwide to accept campaign donations in Bitcoin. He said as a digital form of currency, Bitcoin makes perfect sense in a technology-driven world, where so many transactions occur virtually. But more than that, he said the sudden growth in alternative forms of money suggests to him that people have lost faith in government. "And so you find an alternative way of acheiving the goals you want to achieve, keeping the government out of the way," Richardson said. "It's what we do. If you can't climb over it or go through it, you go around it." And, he said, the idea of being able to bank away some type of "money" that isn't "regulated to death" or taxed by the government is very appealing to many Americans. But some economists are a bit more cautious in their estimation of cryptocurrency power. Nory Jones, an e-commerce specialist with the University of Maine, observes that alternative currencies like Bitcoin, which has now been joined by Dogecoin, Peercoin, Litecoin, and several others, are still pretty volatile, way up one day, way down the next. And she points out that Bitcoin was something of a godsend for criminals making shady deals on the infamous Silk Road Web trading site. While the currency has gained some legitimacy recently, Jones is not convinced it's enough to make virtual coins really useful for people, yet. "Virtual currency, in order to be legitimate, I think it's going to have some sort of backing by a government to make it credible," Jones said. But state by state, she said, those discussions are starting to take place. 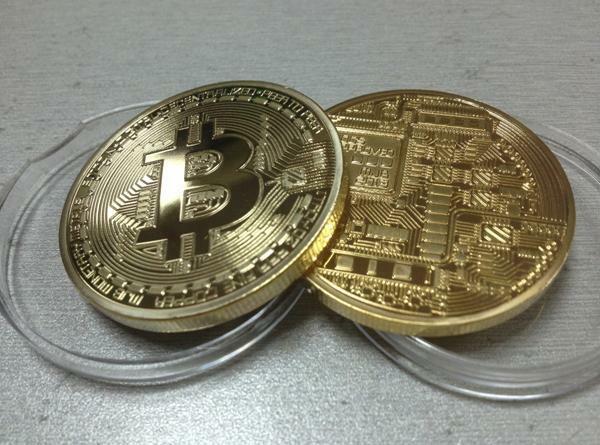 Nonetheless, it's still unclear how, or if, governments can regulate virtual currency. But with relatively few retailers worldwide taking things like Bitcoin, consumers may have the currency, but nowhere to spend it. One of Maine's iconic stores, LL Bean, said it's keeping an eye on virtual currencies like Bitcoin. A spokesman for the company said they'll keep watching with interest to see if there's any retail future for virtual currency. But for now, if you want a pair of Bean boots, you'll need to ante up some good old-fashioned cash at the checkout.